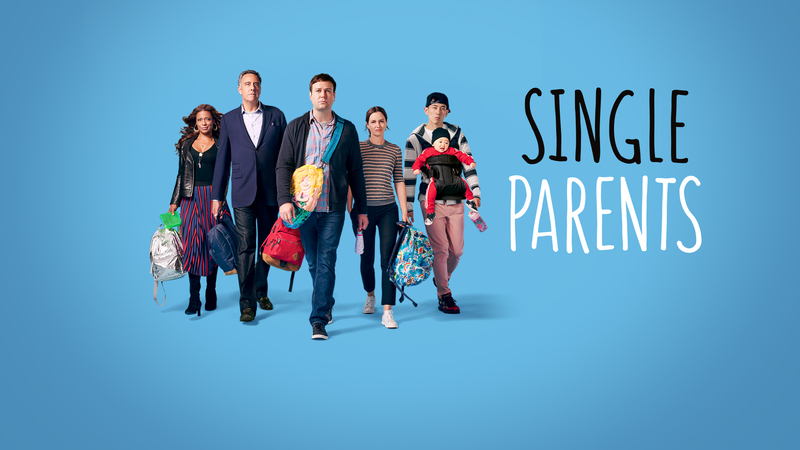 The Single Parents series premiere is Wednesday, Sept. 26, 2018 9:30|8:30c on ABC. To get you ready for this hilarious new comedy, we thought it would be fun to hear what the show's creative forces and talent had to say about their brand new series. 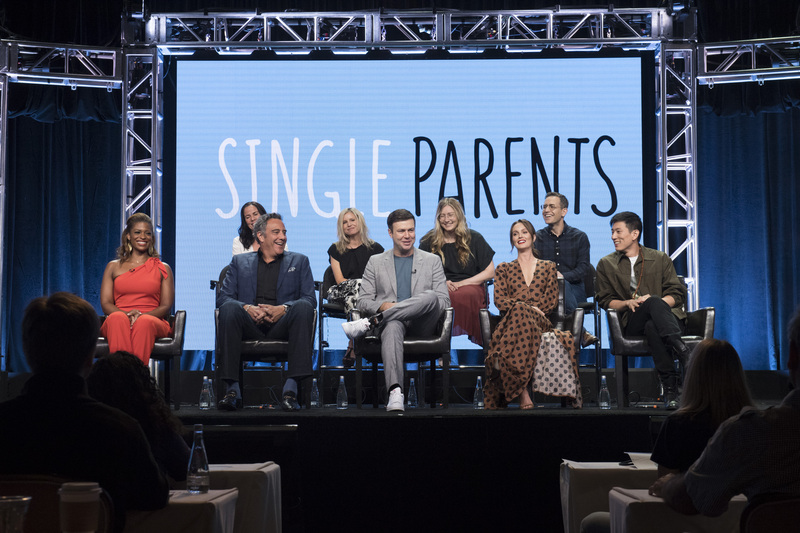 The Summer Press Tour for 2018 rolled into Beverly Hills to catch up with the cast and producers of ABC's Single Parents. Watch the official trailer and read about the highlights of the panel discussion below. The panel discussion began with Co-creator and Executive Producer JJ Philbin answering a question about if room parents in the school are real. She assured the non-parent who posed the query that they truly are real and they can be pretty darn scary. Brad Garrett was asked if he had ever sung Disney tunes before. He jokingly replied "only in prison." Brad is also a single parent in real life. He said, "When you're a single parent, you want to try to co-parent." He added, "You are thrown into a social group according to who your kids hang out with." JJ Philbin added that it's like these people are "in a foxhole together." Taran Killam said he couldn't believe there wasn't already a show about the plight of single parents out there but said he dresses much cooler than his character. His co-star, Kimrie Lewis, said she jumped at the opportunity with her former New Girl producers. Executive Producer Jason Winer said that the growth the kids have shown since the pilot episode to the table read for the second episode has been amazing. Co-Creator/EP Elizabeth Meriwether added that she was a little nervous about doing a series like this one after New Girl, but the kids on this show just blew her away. Jake Choi recalled a time on the set when his TV baby fell asleep on his chest and it felt like his real baby, but the child's parents would probably disagree. Leighton Meester of Gossip Girl fame loves having such a light environment at work with such fun, wonderful people. When asked how she felt about having her character being described as flawed by her bosses, Leighton said, "It means that they're writing human beings." About Single Parents: This ensemble comedy follows a group of single parents as they lean on each other to help raise their 7-year-old kids and maintain some kind of personal lives outside of parenthood. The series begins when the group meets Will, a 30-something guy who's been so focused on raising his daughter that he's lost sight of who he is as a man. When the other single parents see just how far down the rabbit hole of PTA, parenting and princesses Will has gone, they band together to get him out in the world and make him realize that being a great parent doesn't mean sacrificing everything about your own identity. The series stars Taran Killam as Will, Leighton Meester as Angie, Kimrie Lewis as Poppy, Jake Choi as Miggy, Marlow Barkley as Sophie, Tyler Wladis as Graham, Devin Trey Campbell as Rory, Mia Allan as Emma, Ella Allan as Amy and Brad Garrett as Douglas.